The Kicking Horse River has a long, storied history, best known for carving the Kicking Horse Pass, which opened up the west and the Columbia Valley to the Canadian Pacific Railway. The Columbia River plays pivotal role in providing fresh water, hydroelectric power and access to people and industry in both the United States and Canada. Golden was built smack dab in the middle of these two powerful rivers. 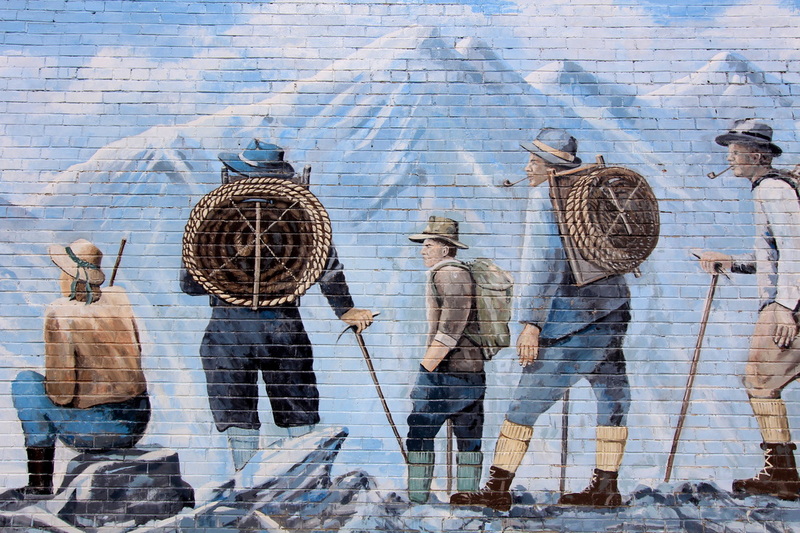 Over the last hundred years, railway men, Swiss Guides, foresters, residents, businesses and paddlers have tried to tame them in many different ways. Each year, the rivers still provide some surprises (and wet basements), but never enough to drive people away. 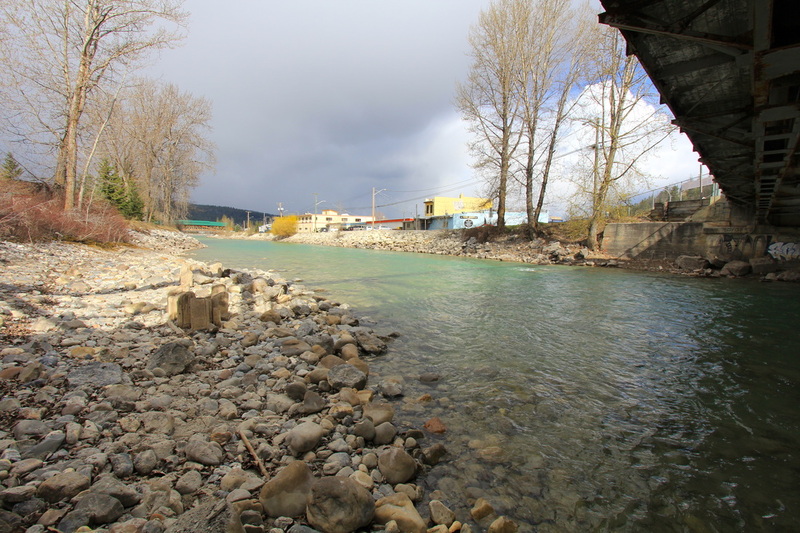 In late fall 2014, the Kicking Horse River began to fill up with ice. Excavators were brought in. Ice was moved so that the water could flow. While some water began leaking through the dyke, nno public property was damaged - although the same can't be said for Gould's Island. For a few days, the situation was tense. CBC News even showed up and featured Golden on The National. Would the ice take out a bridge? Would the water flow over the dyke? In the end, the pressure subsided, leaving ice 10 feet thick in places. 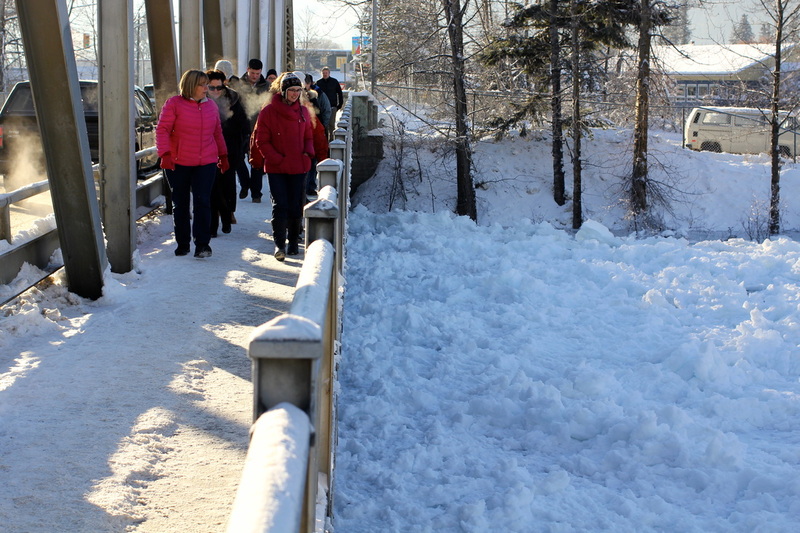 By April 2015, the Town of Golden has crafted a plan to address flooding and is aiming to get full funding for it from provincial and federal government. Time will tell if they are successful. And if they are, everyone will have learned a lot about environmental protection, civil infrastructure, asset management and amenity planning along the way. 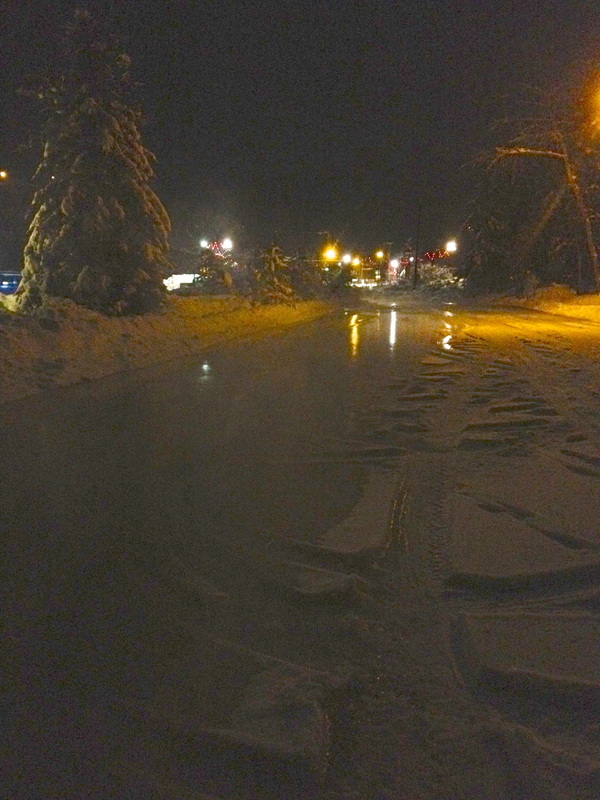 Photo Right: A pool of water forms on December 3, 2014, as the Kicking Horse River begins to flow through the north dyke, adjacent to Spirit Square and Golden's downtown. 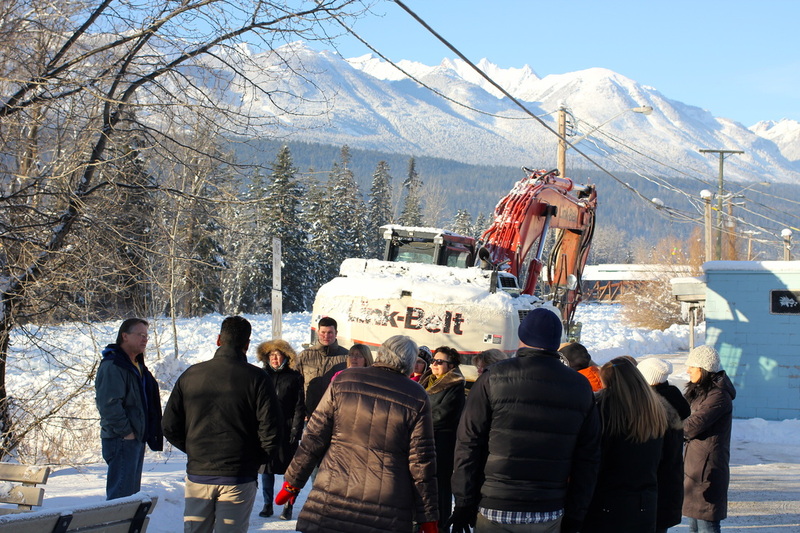 Photos Below: Town of Golden Mayor Ron Oszust speaks with the Simon Fraser University Community Economic Development class about the ice jam on December 3, 2014. Riverfront planning and development is not new to the community and Golden has a lot to be proud of. 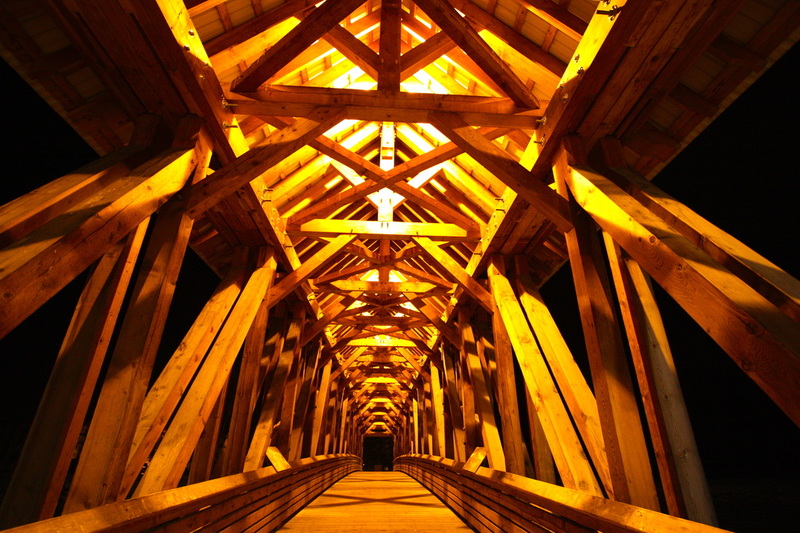 2002: The timber frame pedestrian bridge was not very popular when first conceived 12 years ago. 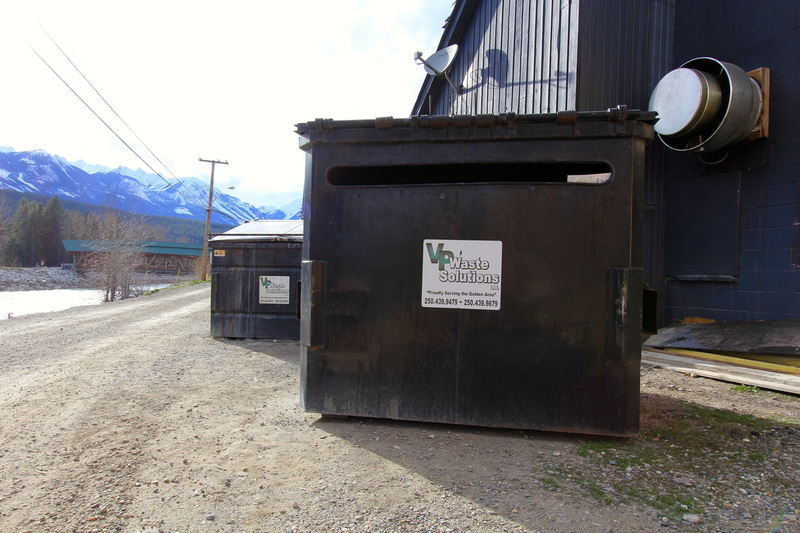 However, over time the community came around to the idea and business, government and volunteers stepped up to the plate. Now, it is hard to imagine Golden without it. 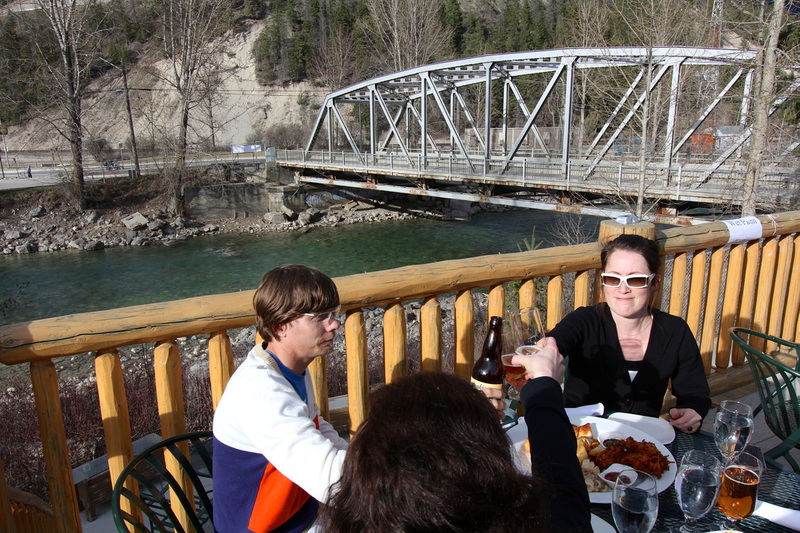 2006: While not near the riverfront, the BC Visitor Centre @ Golden on Golden Donald Upper Road has played a huge role in attracting visitors to the water. From ~$400K in taxpayer dollars, Golden Area Initiatives was able to leverage many grants and construct a LEED Gateway Centre that is now valued at over $2M. 2009: Just west of the downtown, the Town of Golden leveraged a provincial program to change a dusty dead end street downtown into Spirit Square. 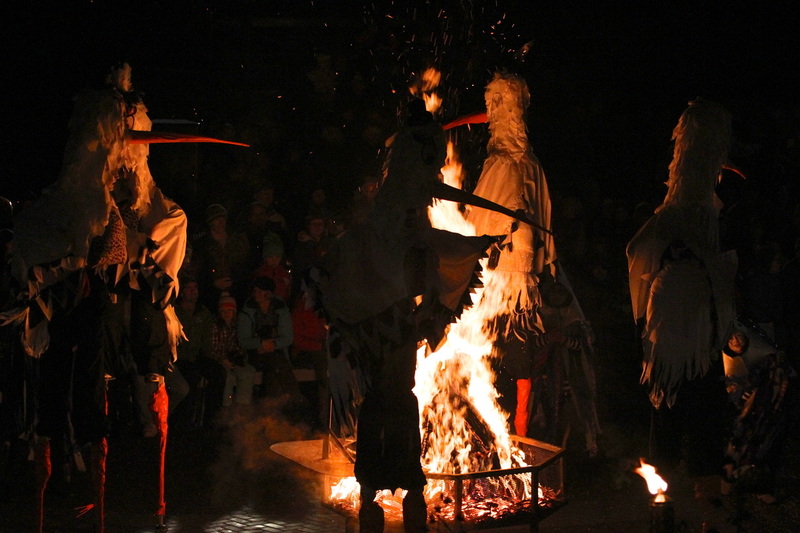 This small, central space can hold over 1,000 people as they enjoy events like the Snow King MasqueParade, Summer Kicks concerts and Canada Day festivities. 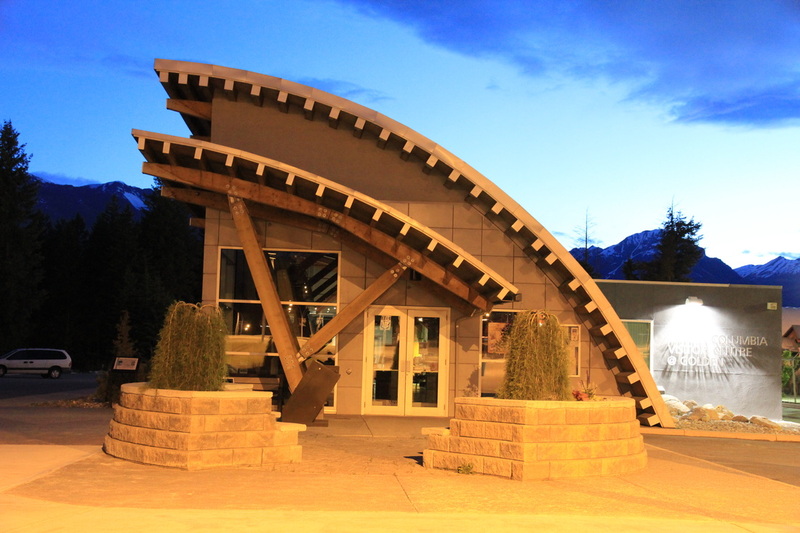 2009: Positioned at the mouth of the canyon, and now a home base for the Golden Muncipal Campground, the Whitewater Amenity Hub includes a store, cafe, office, and public bathrooms for rafters and kayakers putting-in or pulling-out of the Kicking Horse River. 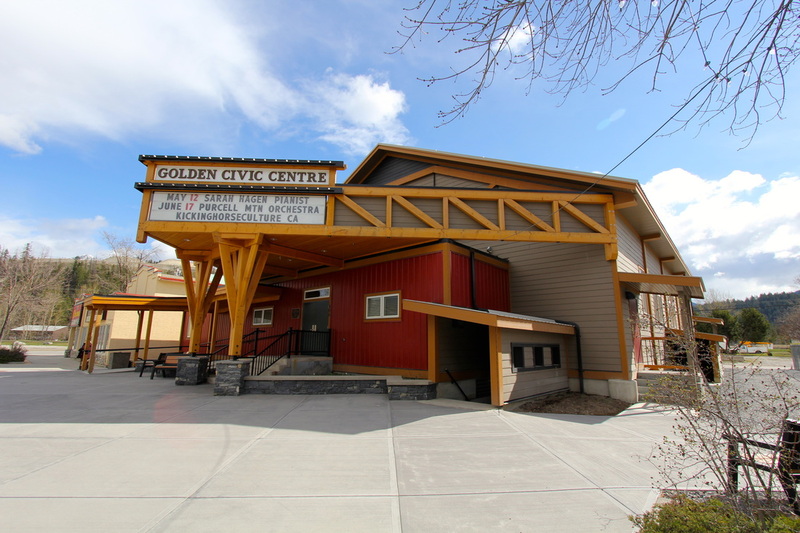 2012: The Golden Civic Centre was built by volunteers in 1948, using trusses hewn in 1911. In a little over 1 year, a dilapidated structure has been transformed into a $3.7M, state of the art performing arts facility, with a tip of the hat to the community's history. The last major ice jam on the Kicking Horse River triggered a number of events (2007/08). The Town of Golden, realizing that a flood would likely strike the low part of the dike, which happens to back onto the downtown core and most valuable real estate (and property tax contributors) per square foot, created a flood mitigation strategy for the Province. Part of that strategy allowed for removal of gravel downstream (completed in 2009). And another component of the flood mitigation strategy included an improvement to the dike. While the opportunity for dike improvement comes up once every generation here, the Town engaged Urban Systems to plan a dike improvement and raising, as well as a beautification component that would encourage store owners to improve the looks of their river-facing buildings located between the Highway #95 vehicle bridge and the 2001-built timber-framed pedestrian bridge. In order to complete the $4M Bridge to Bridge (B2B) project and access substantial grants from the Province, the Town would have to take out a long term loan for $1.8M. Very quickly opposition to this project was heard. After trying to appease the public, Town Council scaled back the 'beautification' component to reduce the amount borrowed down to $1.3M. Eventually, the proposed borrowing issue went to referendum in October 2012 (coinciding with two Council by-elections). The motion to borrow funds for the B2B project was defeated 2:1 (600 votes to 300 votes in a community of 3,701). This project, Riverfront Golden, is intended to address the potential of the riverfront areas in Golden. It is hoped that by looking at our history, our community and including many potential ideas, we can create an optimum long term plan. Transportation is both an advantage and challenge that affects Golden & Area A's residents, visitors, economic activity, safety and quality of life. 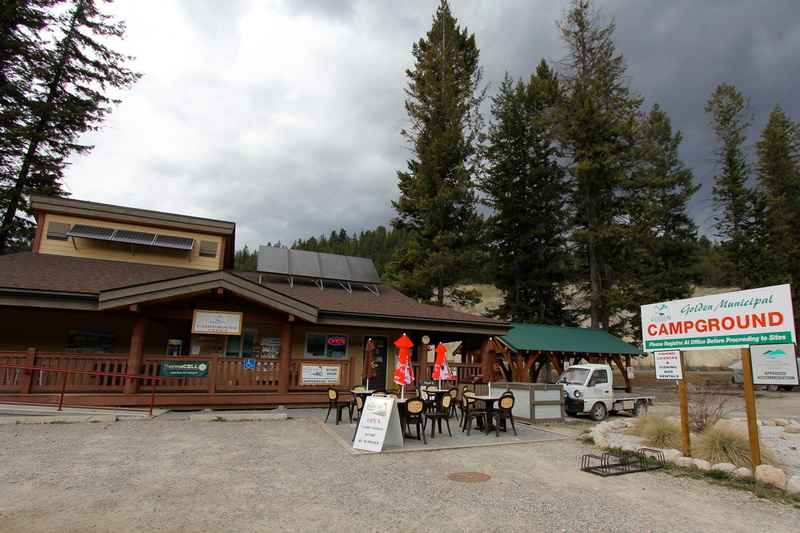 While many other rural mountain communities are well off the beaten path or require ferries to access, Golden is positioned at the intersection of the Trans Canada Highway and BC Highway #95. However, mud slides and avalanches can close the Trans Canada Highway in either west (Rogers Pass) or east (the Kicking Horse Pass), an ice jam caused the temporary closure of 10th Avenue/Highway #95 in 2007 and ongoing construction can add to frustration and travel times. To date, ~$330M has been spent on improvements in the Kicking Horse Canyon Project and the replacement of the Donal Bridge. 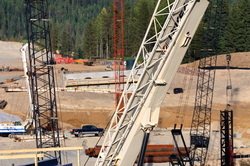 In 2013, more work is scheduled as they twin the Trans Canada Highway near Donald. Yet, the badly needed improvements to the last phase of the Kicking Horse Canyon Project are 2 years away from an announcement and then another 5 years away from being completed. This means that residents and visitors alike will have to negotiate the challengingly windy and exposed 2 lane section of the Kicking Horse Canyon Project until 2020. Or some might just choose not to make the trip. 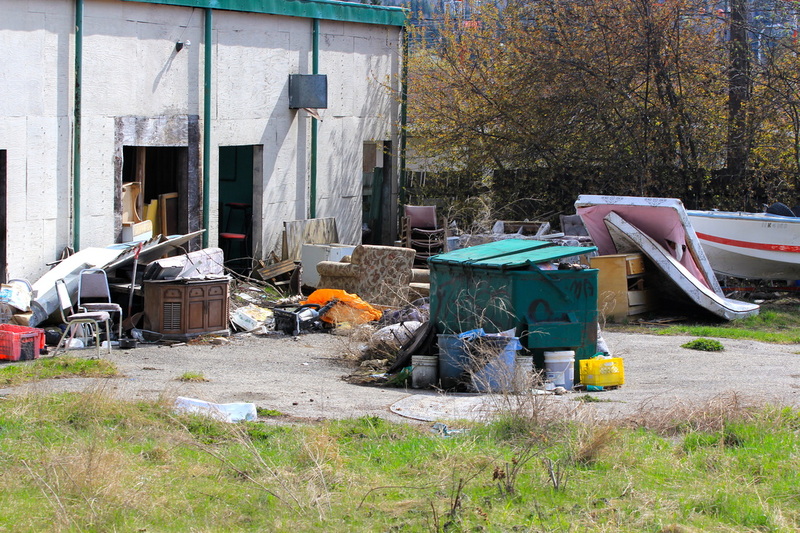 Once one has arrived to Golden, additional signage, ramps, sidewalks and beautification will make it easier and more attractive to make your way into the town centre from the highway frontage. 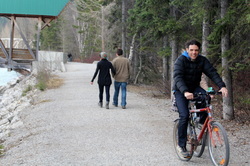 These projects are likely to be supported through Resort Municipality Infrastructure (RMI) funding, accummulated through the 2% Additional Destination Hotel Tax and made possible because of the operation of a Destination Marketing Organization and the Town of Golden's designation as a Resort Municipality. 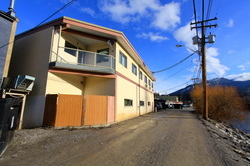 In Town, the Province has not made a decision or given direction regarding the replacement of the 10th Avenue/Highway #95 bridges or the installation of a downtown bypass that would direction through traffic from the Trans Canada Highway over a new bridge on the Kicking Horse River west and then south down a new road between 5th Avenue and the CPR tracks. The second option would aid in downtown redevelopment plans, allowing for increased density and reducing issues caused by transport truck traffic in the downtown core. Aside from these natural landscape issues, Golden & Area A can be challenging to access. Once one is here, it is very natural for locals to move from the Kicking Horse Canyon to Confluence Park. But for those new to the area, it isn't so easy to get around. The Zumondo Consultants report below provides best practices and both short term and long term recommendations for Tourism Ground Transportation Programs, which could help in getting people to and from Golden's riverfront.